The Labyrinth is a 3500 year old sacred walking path that is re-emerging world wide. Unlike a maze, the labyrinth has only one path which meanders throughout the whole circle leading into and back out of the centre. Walking it will move you toward clarity or peace. The Labyrinth is located on the grounds of Georgian Shores United Church to the south of the parking lot. 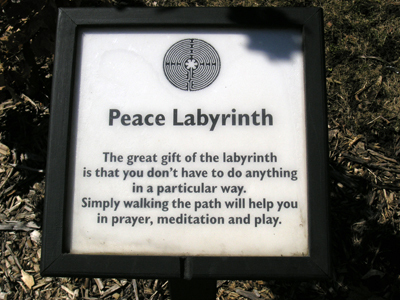 The labyrinth was a community effort by many faiths, and is open to all to come, reflect, and find peace. The Peace Labyrinth was awarded the Peace Medallion for 2006 from the International YMCA Peace Week, and the Peace Award at the Baha’i Peace Breakfast and Workshop. 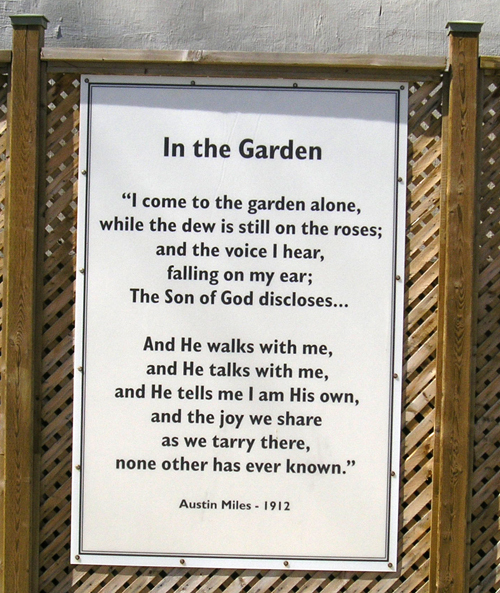 May 13, 2006 was the official opening of the Peace Labyrinth at Division Street United Church, now Georgian Shores United Church. There were approximately 100 in attendance, a multi-faith group of persons. The labyrinth has only one path that begins at the outer edge and meanders throughout the circle until you reach the centre where you may stay as long as you wish. From the centre you may retrace the same path back out again. Walk with an open heart and an open mind. ★ Quiet your mind and become aware of your breath. ★ Find the pace your body wants to go and follow it. ★ If others are present, feel free to move around others or let others move around you. ★ The path is a two-way street; you will meet people coming out as you go in. Do what feels natural when you meet. The lightning rod from the roof of the original church has been stored under the sanctuary for years and will be part of a sculpture display (work donated by artist Martyn Kendrick). A plaque explaining its origination and how the labyrinth is a gift commemorating Division St. Church’s 150th Anniversary was added.